This striking platinum ring is set with a brilliant-cut round diamond (1.00 carat), and accented on each side with 2 special cut onyxes. A wonderful way to add bright, sparkling color to everyday dressing. 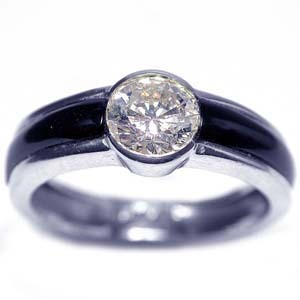 The ring''''''''s shank measures 5 millimeters.